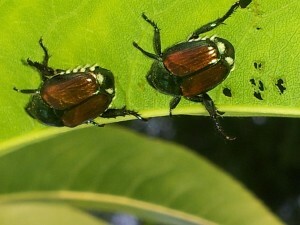 Japanese beetles have arrived in Southeast Wisconsin. Our first beetles arrived on July 4th. We first spotted them that morning. They are getting thicker by the day.